I pick up broken dryers from time to time to fix. If the dryer isn’t heating up, one of the first things the previous owner will often tell me is, “The, dryer isn’t heating. I think it is the heating element.” To a person that repairs dryers a lot, I find that to be a funny comment because most of the time the person I’m talking to is giving me a gas dryer and not an electric dryer. Only electric dryers have heating elements. Whirlpool electric dryer heating elements are located in different locations on the machine depending on the model of dryer that you own. For a large amount of electric Whirlpool dryers have the heating element is located in the back of the dryer. To locate it, unplug your machine from the wall outlet. Remove the series of screws in the back to access the heating element. The picture on the left is actually a gas dryer, but looks almost exactly the same as the back of an electric Whirlpool dryer. 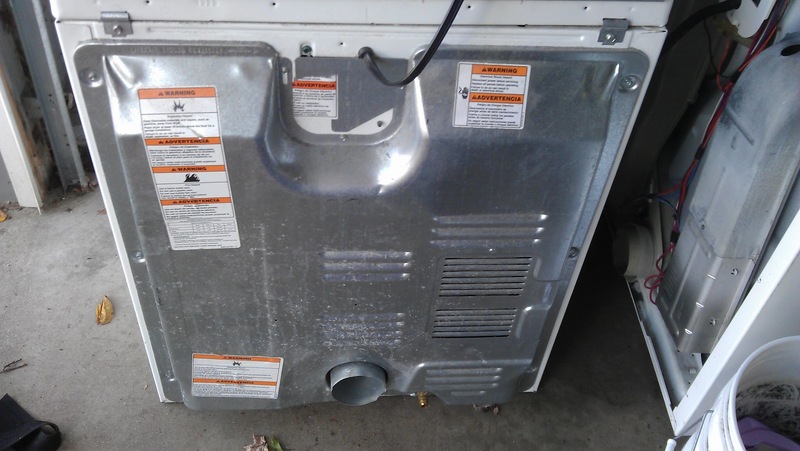 Whether your dryer is gas or electric, the back panel is removed all the same. The heating element on this style of Whirlpool dryer is located on the back right of the dryer. The other location that you can find a heating element on your Whirlpool dryer is in the front. 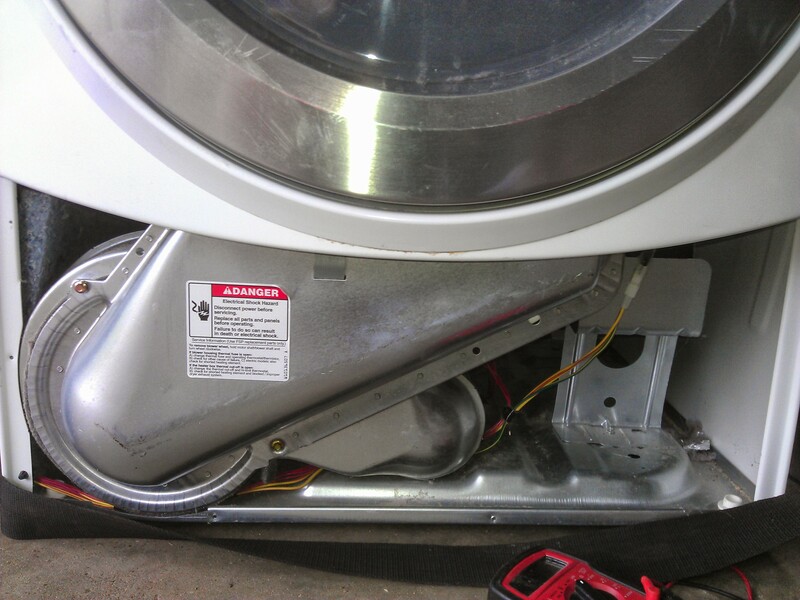 All you have to do is remove the front kick panel, and you will find your heating element, but again, unplug your dryer before attempting any repairs! The heating element on this Duet is on the right. 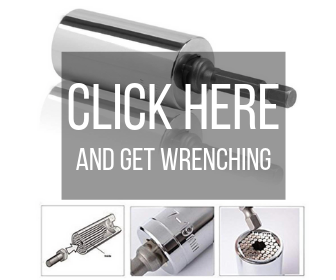 The second picture on your right shows the heating element with the drum removed. Not that we’ve talked about where it is located, let me state that your heating element can sometimes be the cause of your electric dryer not heating, but isn’t the most common cause. Most of the time a thermal cut off has blown causing your dryer not to heat. If you are certain that you need to replace your heating element, you can enter your model number below to find the right heating element for you dryer. Repair Clinic offers a 365 day warranty on parts so if the part doesn’t work for you, you can send it back with-in a years time for a refund.